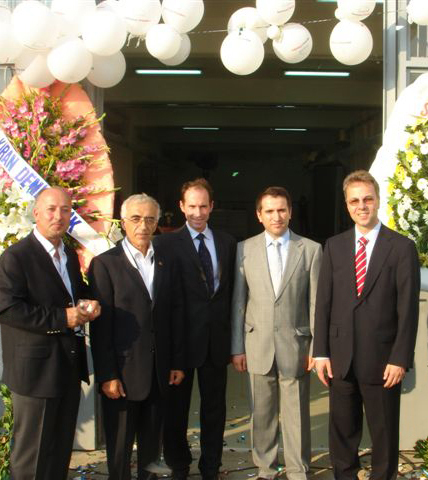 MAN Diesel PrimeServ Turkey was inaugurated in front of an invited, international group of customers and MAN Diesel staff on July 9th last. The new service centre is located in Istanbul’s Tuzla district, to the east of the city centre, and consists of a workshop and office facilities. Tuzla is home to Istanbul’s shipyard community that, for the last five years, has been an important centre for newbuildings, especially smaller chemical tankers mostly operated by European shipowners. Ship repairs and conversion are also a very lucrative market locally. The establishment of the new service centre was prompted by a number of factors, including the high average of 500 vessels that call to Tuzla repair-yards annually for special surveys and all manner of repairs. In general, Turkey is experiencing a boom in its shipping sector with other areas, such as the Black Sea and Mediterranean, having recently received a lot of investment in both the building and repair of commercial vessels. Accordingly, this positive environment encouraged MAN Diesel PrimeServ to set up a Turkish hub to provide a comprehensive service to both local and global customers. One of PrimeServ Istanbul’s most important tasks will be the repair and maintenance of MAN turbochargers and fuel equipment, as well as total main-engine and auxiliary engine overhauls. To this end, the Istanbul workshop has been equipped with the most modern machinery available on the market to fulfil customer requirements and ensure the highest level of MAN Diesel expertise. PrimeServ Istanbul will shortly be able to boast of a completely local workforce of superintendent engineers and technicians who will be responsible for all commissioning jobs for newbuildings, and providing the best service possible to vessels calling to Turkish ports requiring on-board repairs or with warranty issues.